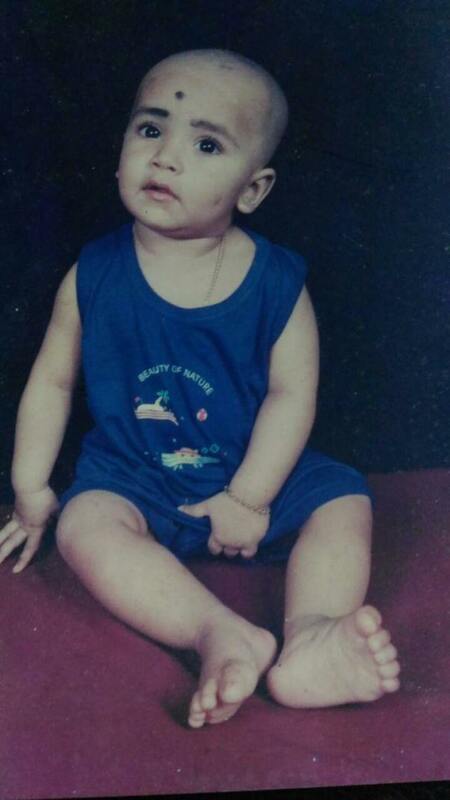 In August 4, 1999 at 7:04pm, Abhay was born into this world. 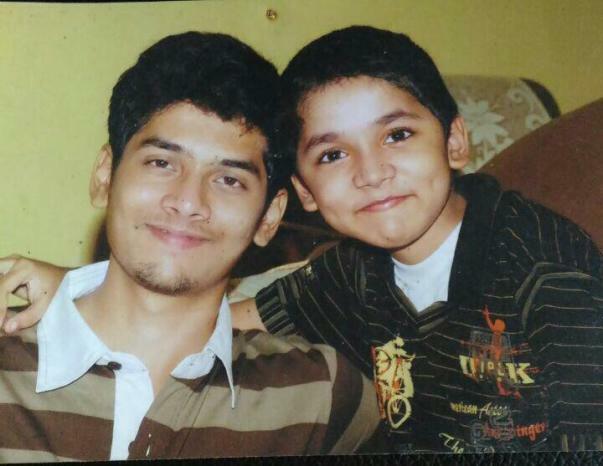 His father Ramakumar V.N, his mother Geetha Ramakumar and his elder brother Arjun Ramakumar were very much joyful especially his elder brother who is going to have his own baby brother. Abhay started walking at the age on 1, but soon he used to fall frequently and he couldn't climb steps like normal children, his parents sensed something wrong and visited the doctor. 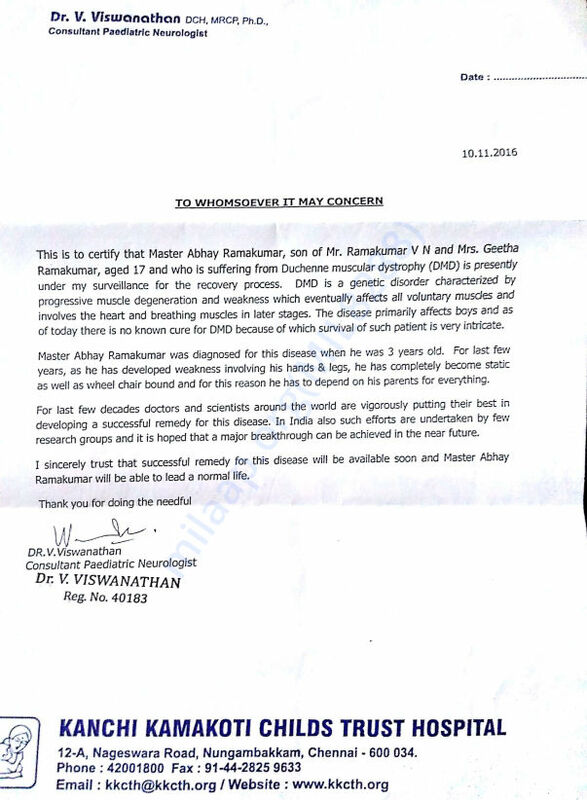 Abhay was diagnosed with DMD at Shusrusha Hospital in Mumbai by Dr.Nathan. The doctor informed that this disease is deadly and the life expectancy is 24 years and that the disease does not have a cure. The family was thrown into depression and realized that Life is not always filled with happiness, nothing is permanent in this world may it be happiness or sadness. 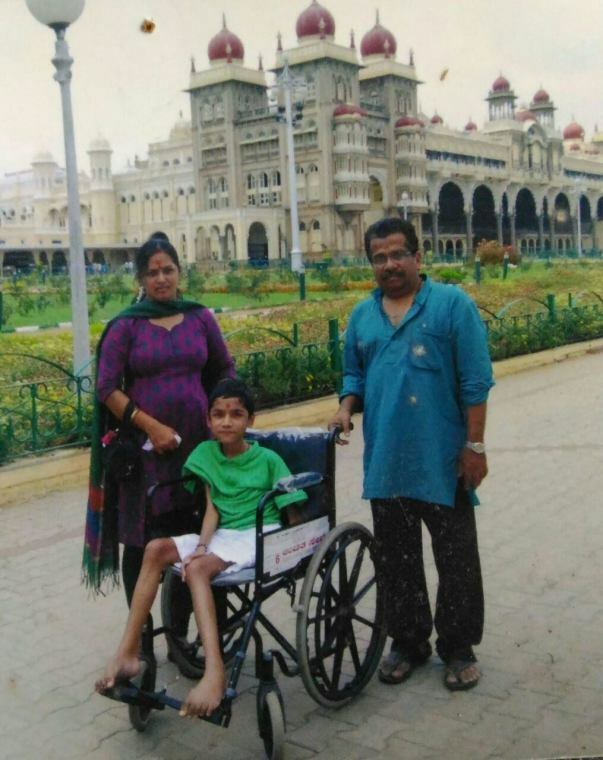 His parents did not want to give up on their son's life, so they imparted various conventional & non-conventional treatments such as Ayurveda,Siddha,Unani etc... Abhay wholeheartedly did everything the doctors told but there was no positive response in Abhay’s body, but He was and still is positive that he will definitely walk someday sooner or later. 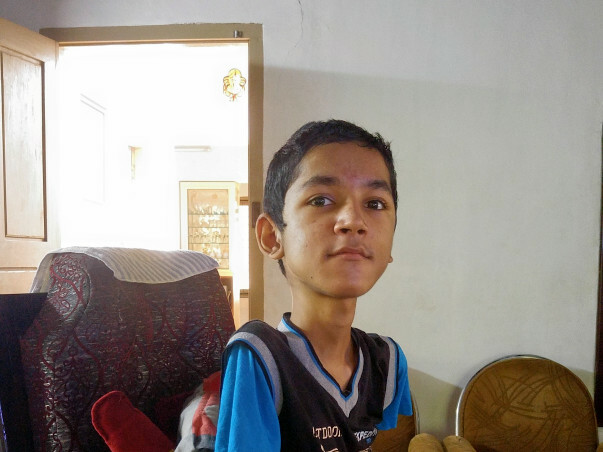 In 2014, Abhay's parents found about DART and joined the trust with 12 others. 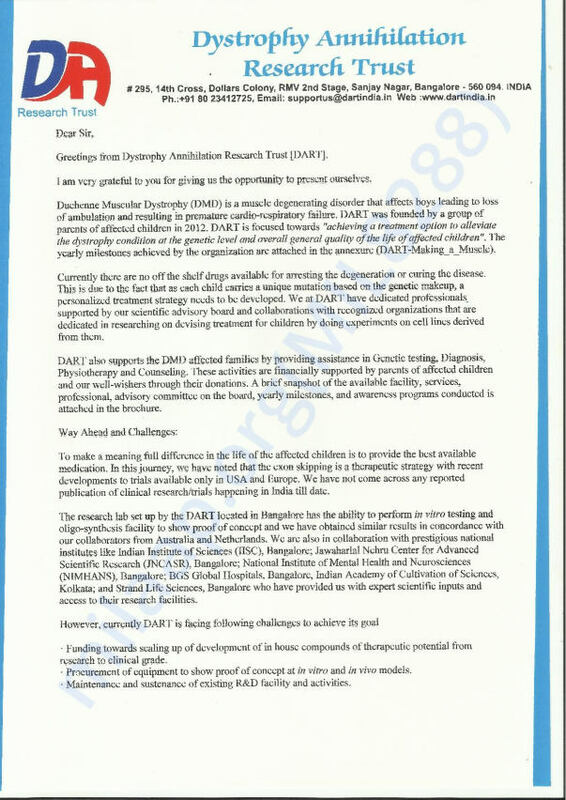 Dart is doing research for finding a permanent cure for DMD. Dart is functioning under the Patronage of Dr.Vishwanath renowned paediatric neuro physician of Apollo hospital, Chennai. Dart is very much close to find a breakthrough, which is expected within two or three years. Dart’s this experiment is the last hope for Abhay living like a normal child. 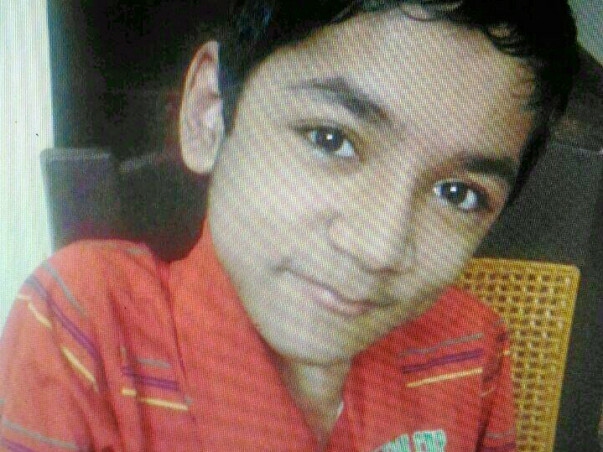 Abhay is currently aged 17 doing his 10 standard, he is studying with enthusiasm and when he grows up he wants to be a michelin star chef. My parents have exhausted all their savings for my Treatment imparted so far. 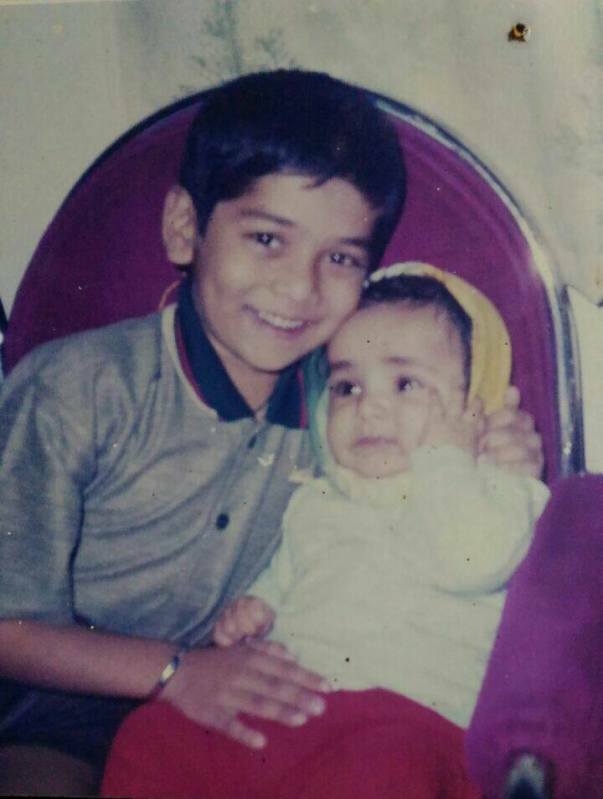 The cost needed for research for each individual child is 70 lacs and is too much for my parents to bear. 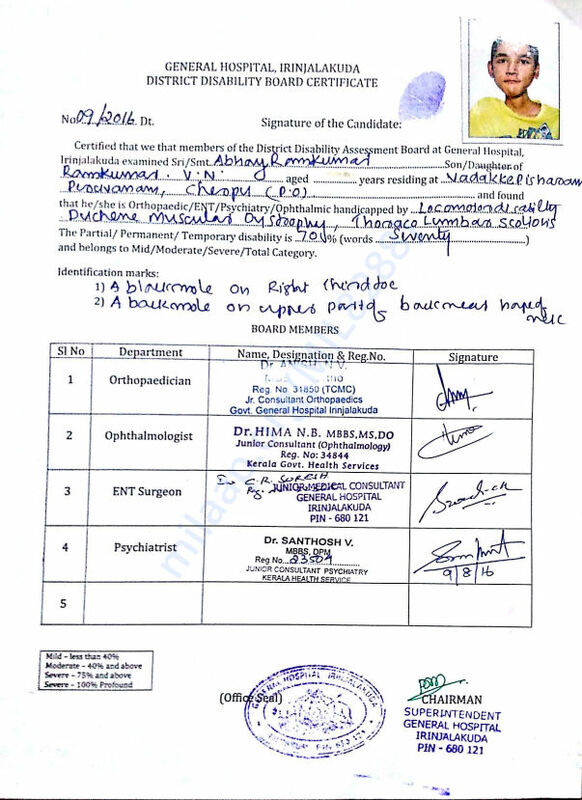 So I am requesting you all to generously contribute and share my campaign to all the contacts you have in your circle. This is my last chance for survival. 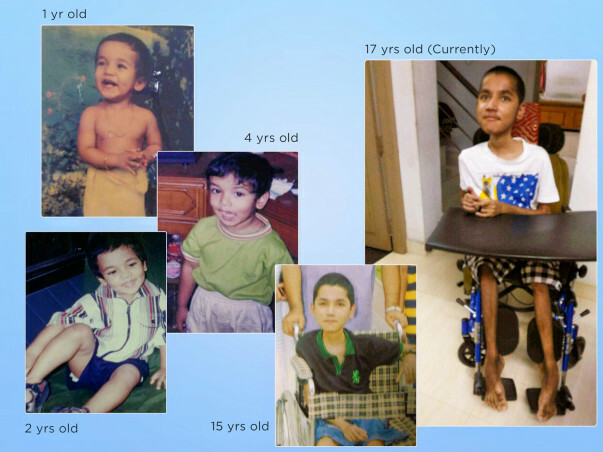 Duchenne Muscular Dystrophy or DMD is characterised by progressive muscle degeneration. 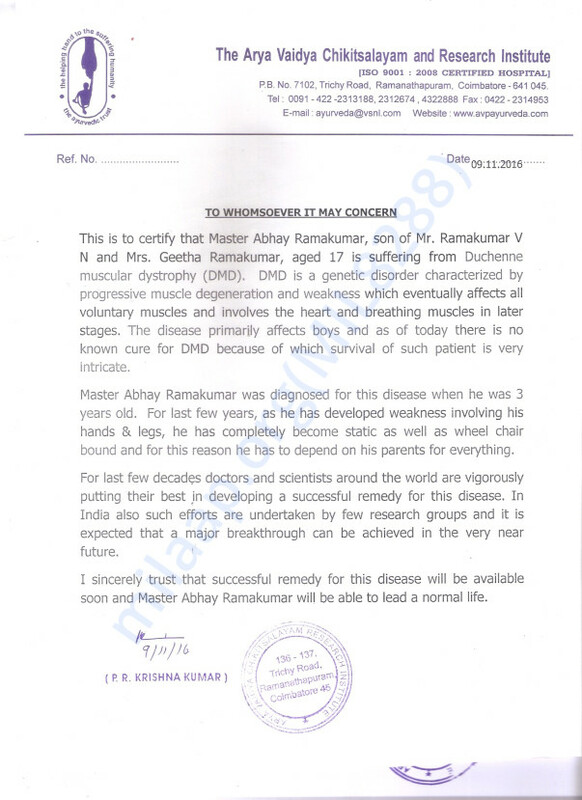 DMD is the most severe type of Muscular Dystrophy. In india so far approximately 5 lac children are affected by this disease. 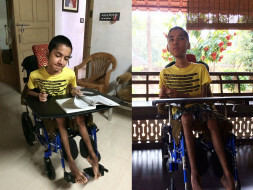 This research will not only help me, other children in our group but also millions of boys who may be born with this deadly genetic disease in future. I humbly request all the kind hearted people to sincerely support my mission to knockout DMD. In 2017 I passed 10th Standard ( SSLC examination conducted by Kerala Board for Secondary School Leaving Certificate) by scoring more than 90 % marks. 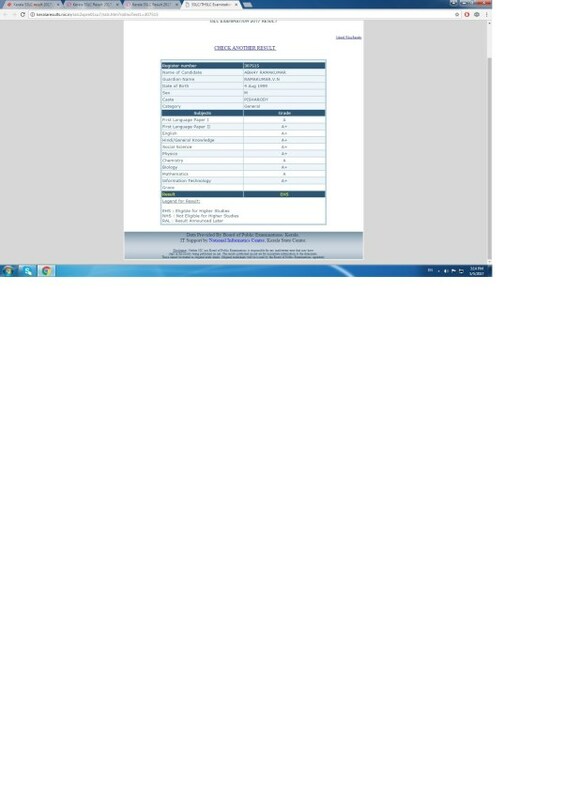 My result is attached below for your kind perusal. For the whole year I sdid not attend any class in the school and studied all the subject without any tuition except for Mathematics. I wrote this examination with the help fo scribe to whom I was dictating the answers and the scribe was writing the same for me. Research is in the advanced stage, for animal testing initial mixture is being prepared. 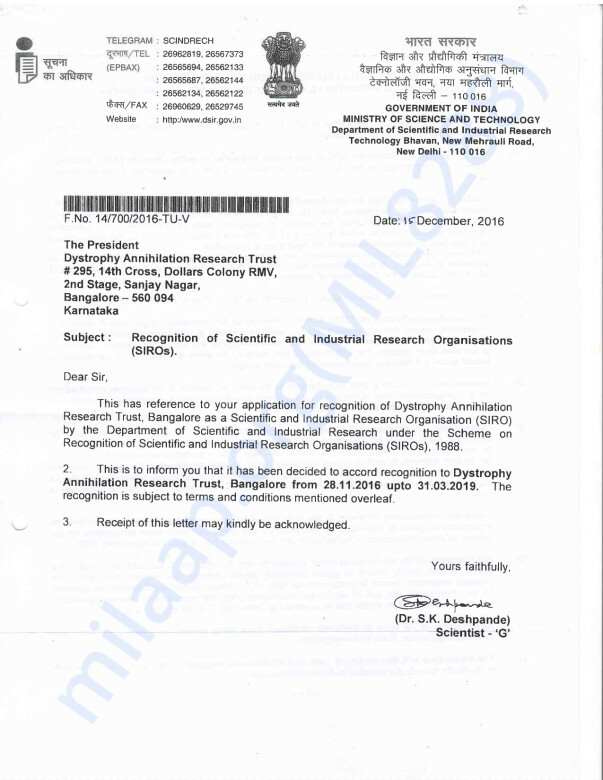 For testing in animals, we have to give an amount of Rs.5 lakhs. Once this test succeeds further process will be started. Thank you for the support. We will keep you posted on the progress. I would like to extend my heartfelt gratitude, for donating to help me fight this deadly disease called muscular dystrophy. It’s really heartwarming to know that people have me in their prayers. 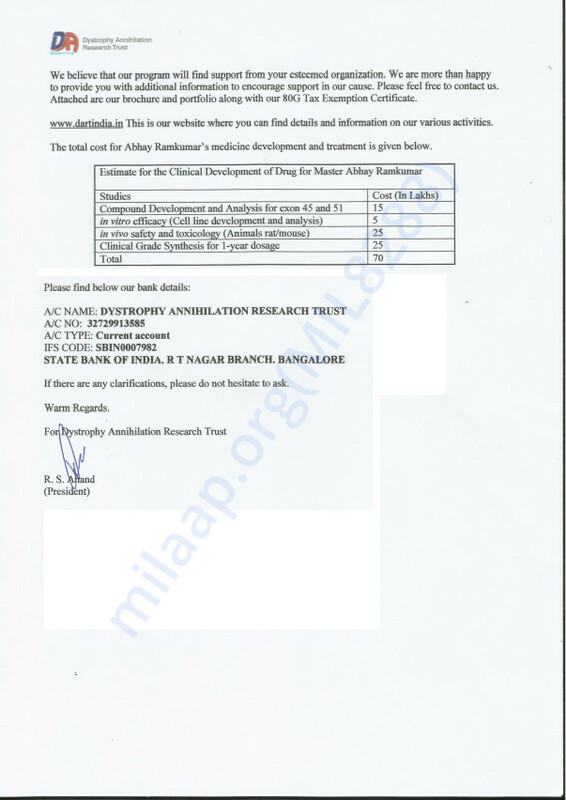 We started this Milaap campaign to fund research into curing this disease. Although, we have raised around Rs.65,000 in the last two weeks, and will hopefully raise more in the coming weeks, we are way behind our target of Rs.70,00,000. I would therefore, like to take this opportunity to urge you to circulate my Milaap link to your circle of friends and family to help me reach out to more people. Kindly share it in social media and/or in person to as many people as possible. 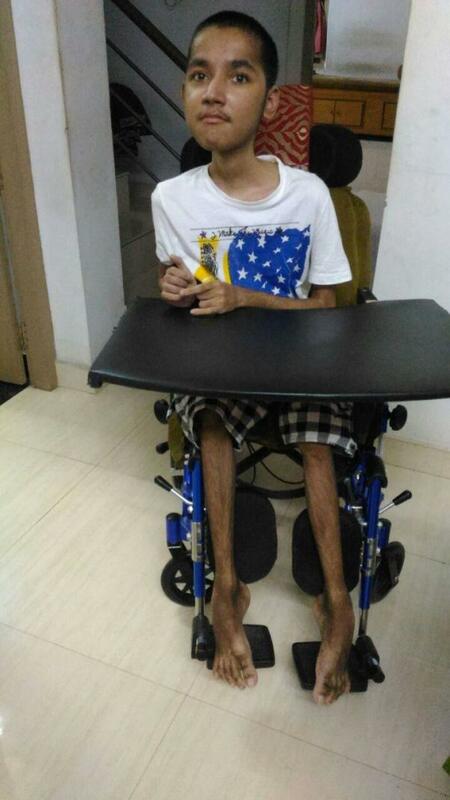 This simple act may fund the expense to finding a cure to muscular dystrophy and will certainly save not only my life but the life of lakhs of children having the same suffering and also millions to be born with this genetic disorder in the generations to come. I would like to once again thank you for taking time out of your busy schedule to spread my story to more people. Praying. One day definitely you will walk again. Hope the goal is achieved fast! God bless.